My former co-director, Janice Jewell, first opened HWC in April 2010 as an after-school program run through our National English Honors Society chapter. In the 2011-2012 school year, we were given the greenlight to offer Advanced Composition 1, which, due to block scheduling, ran every other day with just five dedicated tutors. (Thank you, administration, for believing in this program!) Enrollment grew to 23 tutors for the 2012-2013 school year, and I took on a second section of Advanced Composition 1 and 2, so we were able to open Monday-Thursday every week. Tutors are trained in-class during the month of September, and once we open for the year in early October, we use class time on Fridays when the center in closed to continue informal tutor training throughout the year. However, our every-other-day block schedule means that occasionally one section of Advanced Composition meets multiple Fridays in a row while the other misses out on formal time to gather and discuss the status of the center. In the early days, things were quiet. We were conducting about 500 sessions per year, so there was ample downtime built into our daily tutoring schedule. It was easy for me to observe sessions and informally discuss with tutors what went well and what could have gone better. When tutors weren’t meeting with tutees, we were often working together to brainstorm ways in which we could help students to see HWC as a friendly, accessible resource and better encourage teachers to incorporate working with an HWC tutor into their writing instruction. Our small group of tutors felt a great deal of ownership over the success of HWC, so it was relatively easy for tutors to motivate themselves to try new ways of reaching out to our student body. In the past few years, HWC as a whole has grown dramatically; our anticipated enrollment for 2018-2019 is approximately 55 tutors, and we now regularly conduct over 1,000 sessions each year. While we initially worked primarily with students in English classes, we now see tutees enrolled in ESOL and History courses, as well. The growth has been absolutely thrilling. However, some weeks we are so busy that I barely have time to talk one-on-one with my tutors, let alone observe each of them in action. After we attended the Capital Area Peer Tutoring Association’s (now SSWCA) annual conference in December, my tutors were bursting with new ideas: “Let’s try workshops!” “Let’s start offering students the chance to come and read with a tutor!” “Let’s try digital tutoring!” They were so excited to try new things––but we were so busy that January passed, and then February, and all we had done was create a post-it wall of new ideas on our whiteboard. The conversations and brainstorming that took place naturally in our early days fell to the wayside, and the opportunities to talk informally about tutoring and to make plans in our center all but disappeared. I fully recognize that this is a great problem to have. Our center is thriving, our tutors are invested in tutoring, and we have a steady stream of students who seek us out. However, I found myself wondering: how could we be more intentional about our ongoing tutor training, and how we could better harness our tutors’ enthusiasm to try new things so that our center could continue to thrive? In March, I finally read The Working Lives of New Writing Center Directors (Caswell, Grutsch McKinney, & Jackson, 2016). While reading the chapter Anthony (p. 45-62), in which tutors are required to be certified through the College Reading and Learning Association, I realized a solution to our problem: we could create formal opportunities for our tutors to participate in ongoing tutor training and implement their new ideas by creating our own version of a tutor certification program. I presented the idea to my co-director, Lauren Brown, and she was onboard. 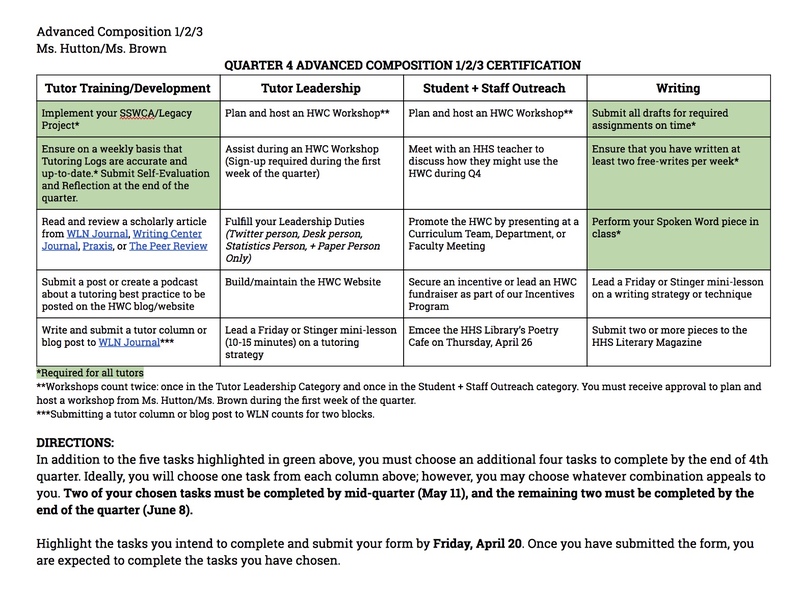 I drafted an “Advanced Composition 1/2/3 4th Quarter TutorCertification” chart, which includes four categories: Tutor Training/Development, Tutor Leadership, Student and Staff Outreach, and Writing. 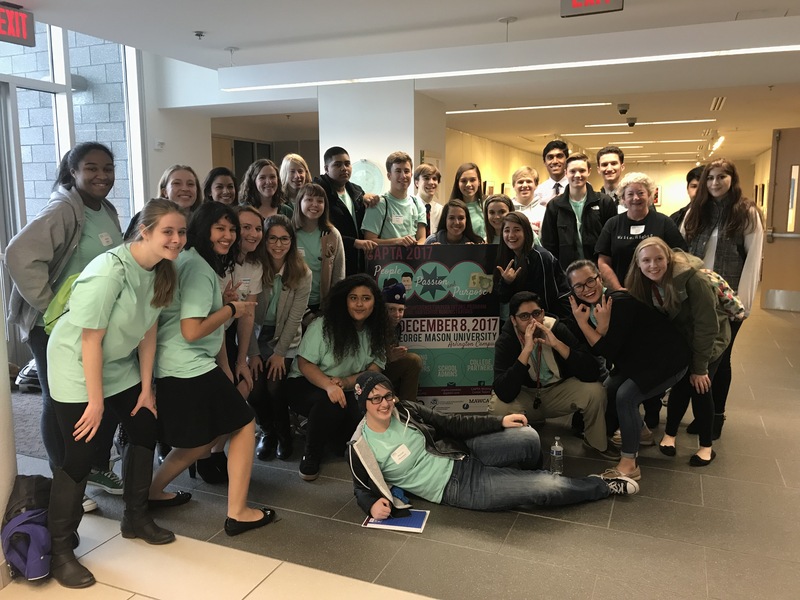 Tutors were required to complete five tasks related to their Senior Legacy Project, planning their presentations for SSWCA 2018, basic tutoring responsibilities, and completing the writing components of the course. In addition to these five tasks, they were required to choose four more certification blocks to complete, and, ideally, they would complete one block from each of the four categories. More extroverted tutors might plan and host a workshop or lead a Friday lesson for their fellow tutors, while more introverted tutors might read and review articles from scholarly publications. 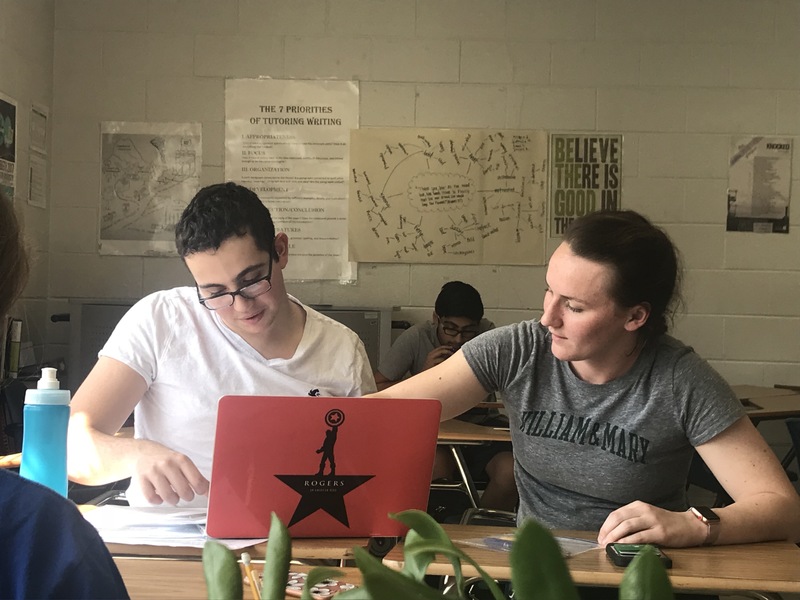 No matter what they chose, the tasks the tutors self-selected ensured that they participated in ongoing tutor training and contributed to our HWC community. 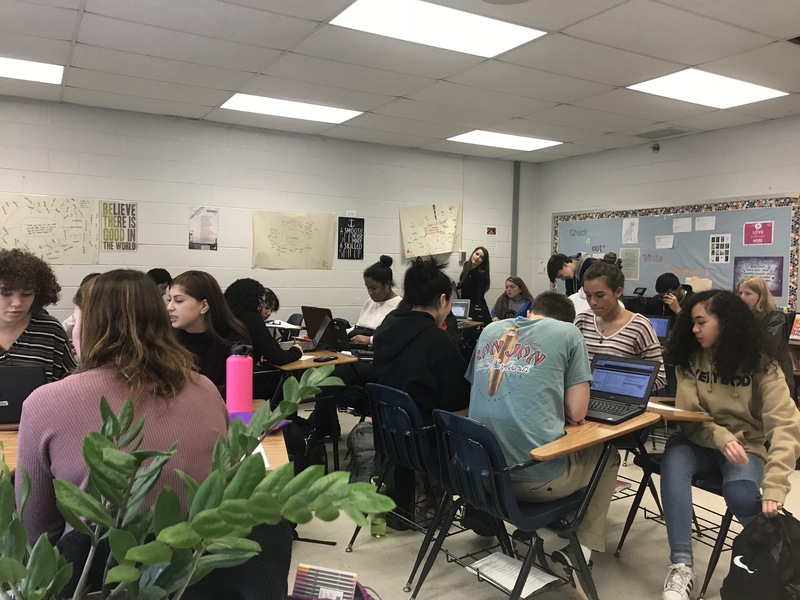 tackling the AP World History Long Essay and Short Answer questions, to reading Dante’s Inferno, to creating characters in a fictional piece, to choosing evidence to support a thesis. 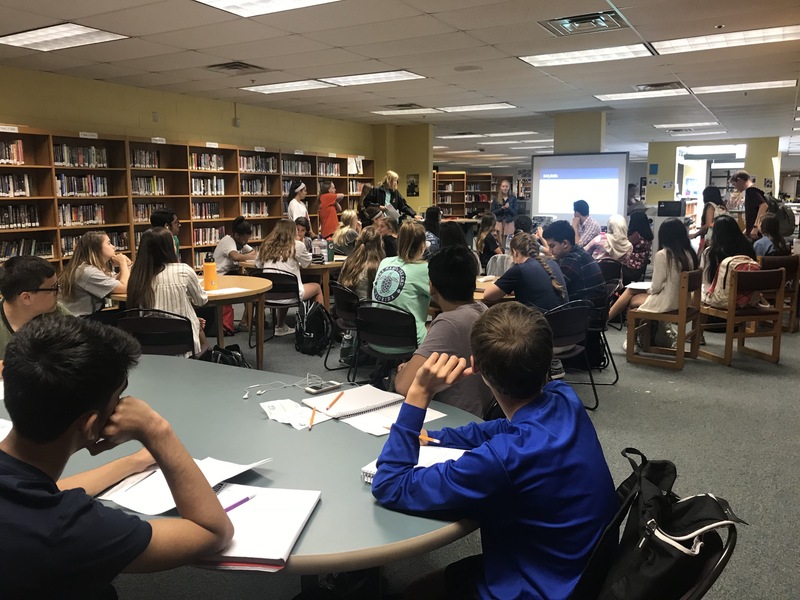 A handful of tutors banded together to begin creating a GoogleSite for our center so students could more easily learn about HWC, while another worked with a teacher to test out an online sign-up system they developed. Two Senior tutors hosted a social for newly-accepted tutors. It felt like we’d entered a new era in HWC, and the expansion of our offerings from one-to-one peer tutoring to small group collaborative workshops was a true breath of fresh air in our center. Overall, our tutors responded very positively to this change in our approach to tutor training, and Lauren and I plan to continue this approach in the fall with more differentiated options for our Advanced Composition 1 and Advanced Composition 2/3 tutors. While we have wondered how we might handle a tutor who doesn’t fulfill the certification requirements, our hope is that by offering tutors more choices in their professional development and by giving them more opportunities to take ownership over the work we do in our center, HWC will continue to grow and thrive as an institution in our school community.